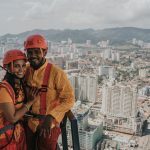 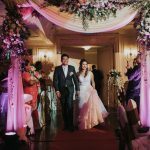 As a Wedding Photographer Malaysia, it is not an easy task to stand out and be recognized internationally especially when there are so many talented photographers within the nation. 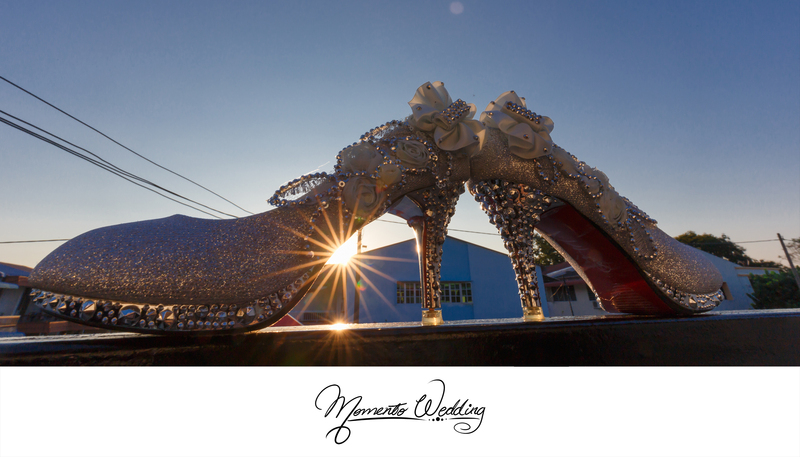 It takes years of dedication and a continuous learning process to be granted recognition from the experts in the industry. 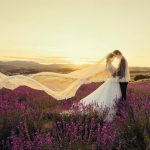 One of the important aspects to set yourself apart from the rest is to have your own unique style in capturing your clients’ moments. 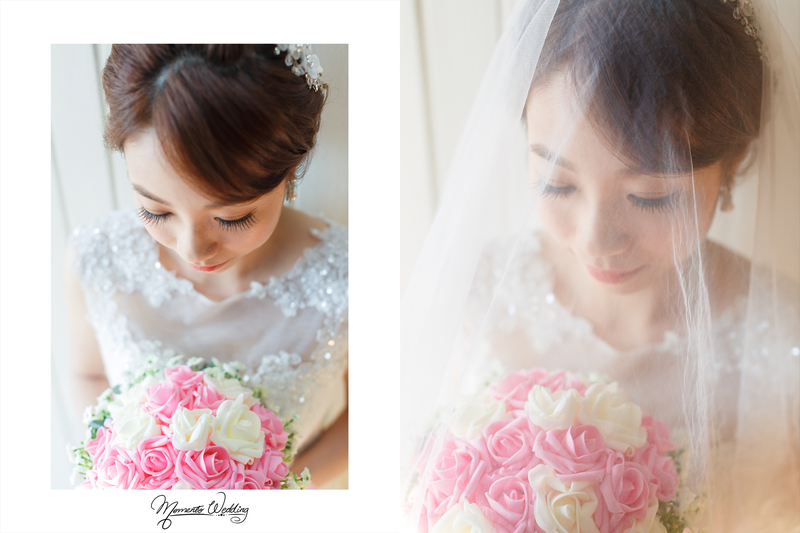 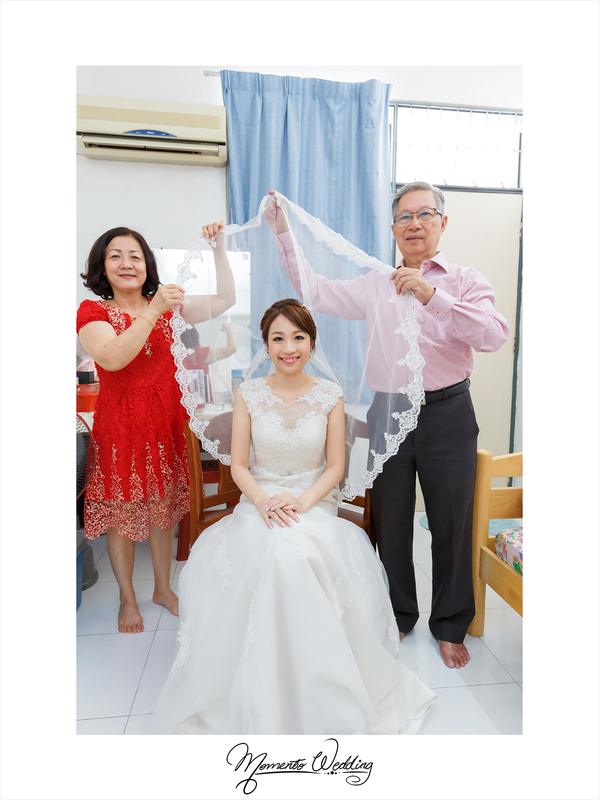 Just like our recent couple, James and Siew Sean, they engaged our services based on our natural and elegant style in capturing every single moment of their wedding day. 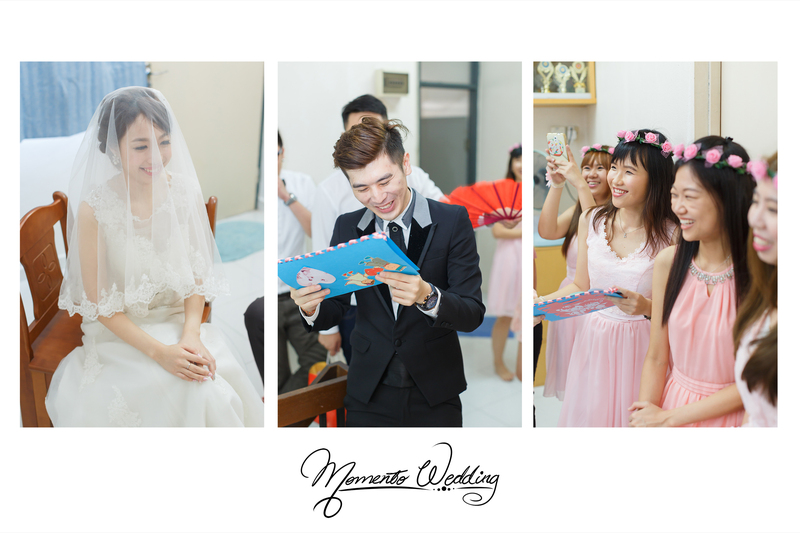 On the special day whereby we see the union of two beautiful families, it is indeed our pleasure to capture the sweet and joyful moments of the newlyweds. 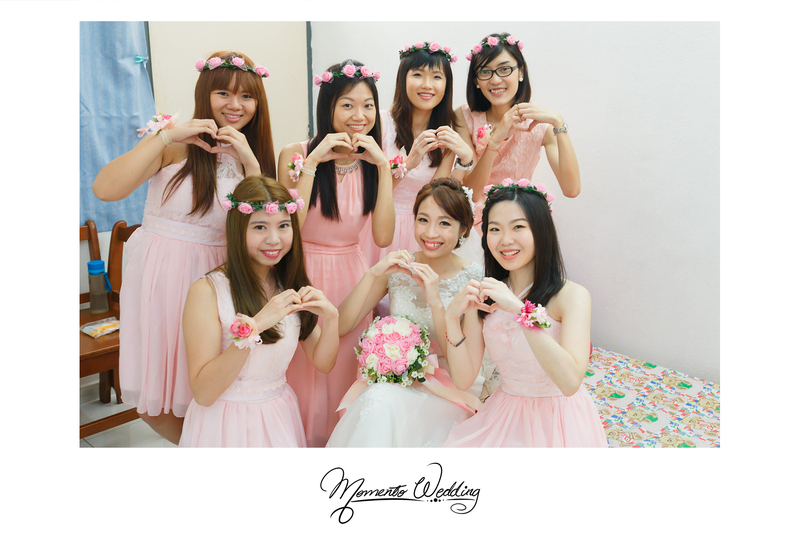 As their Wedding Photographer Malaysia, we managed to snap such happy and creative shots of James and Siew Sean with their bridal party. 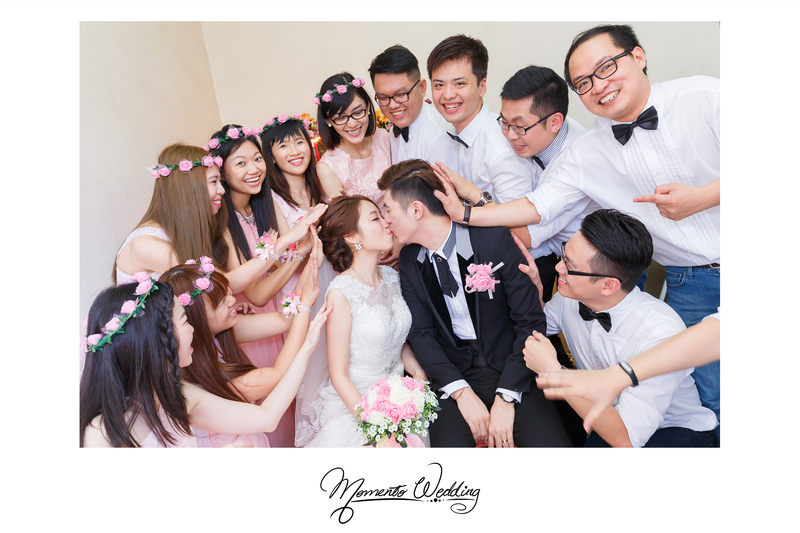 Bridesmaids donning in their own style of pink mini dresses, groomsmen in black bow ties, help to create a fun touch to the shots! 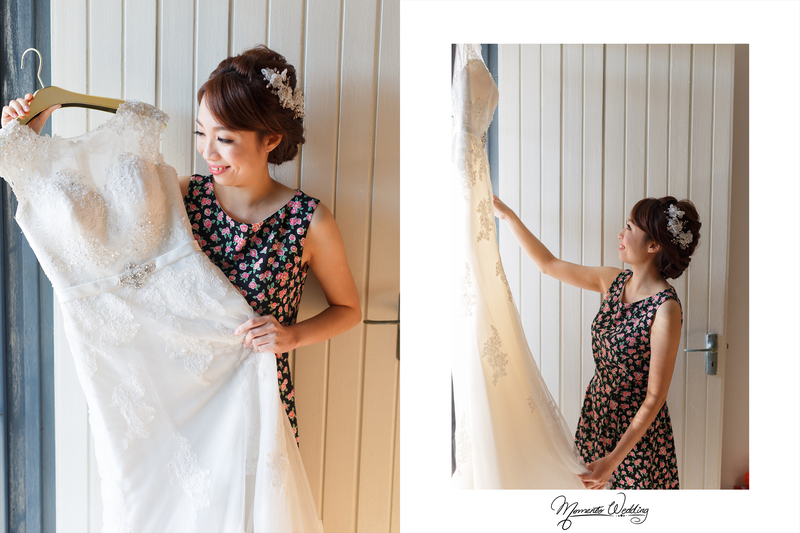 Looking beautiful in white, Siew Sean was all smiles and had so much fun throwing her bridal bouquet to be captured by her group of sweet bridesmaids who are still single. 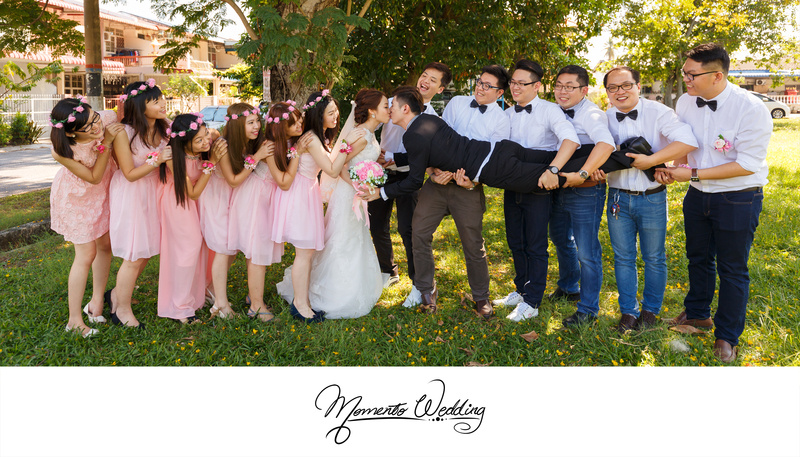 In fact, the groomsmen decided to join in the fun of throwing bridal bouquet with James too. 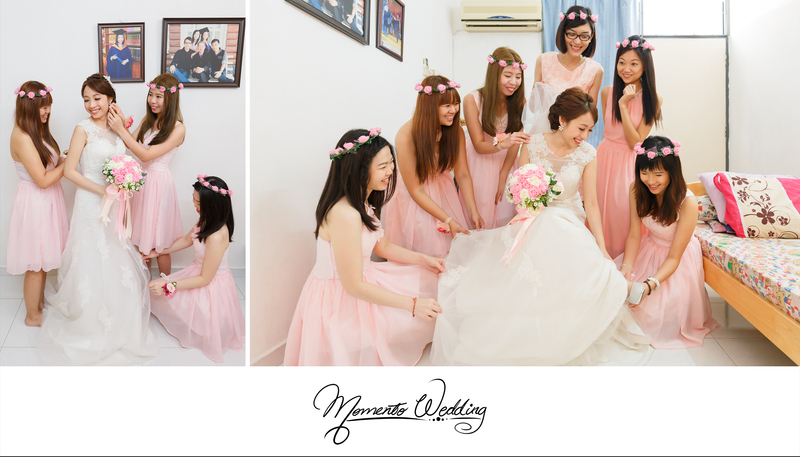 All these simple and natural moments are meant to be remembered for many years to come and we are delighted to help capture them!